Shuhei Ogawara, a Japanese local authority bureaucrat, has made a canoe out of 7,382 chopsticks discarded in the canteen at work over two years. Coated with polywester resin, it weighs in at a heavyish 30kg (66lb). 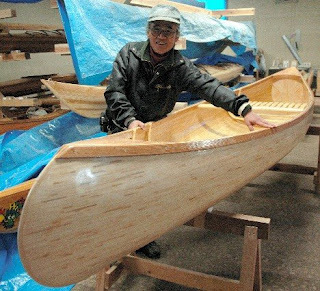 Ogawara plans to launch the canoe at Lake Inawashiro next month. (via Pink Tentacle).